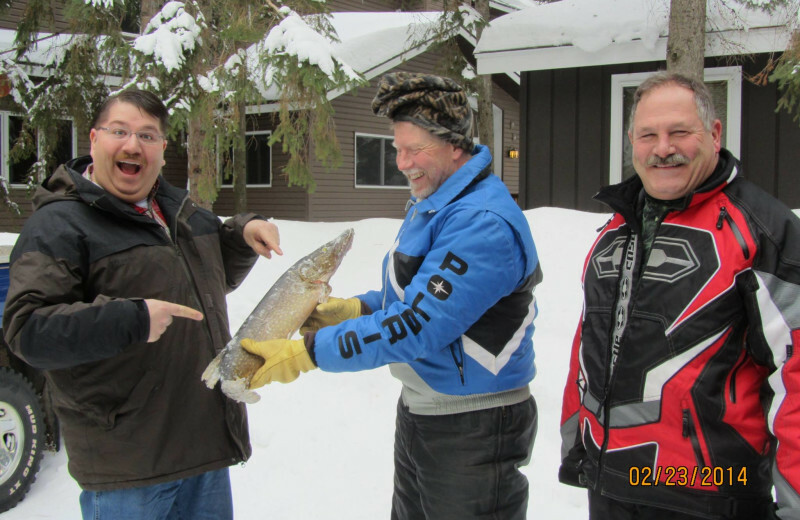 Your Classic Northern Wisconsin Getaway! 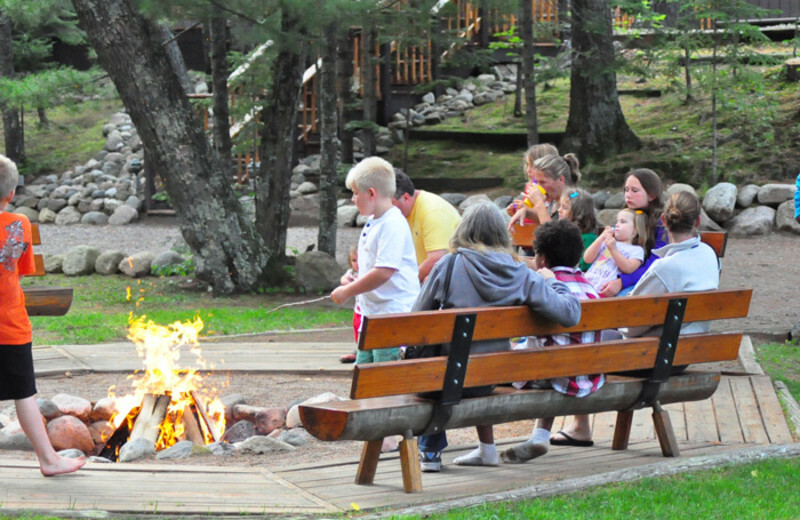 Come and discover what makes White Birch Village Resort the ultimate destination for your next Northern Wisconsin family vacation. Away from the noisy confusion of life you'll find a tranquil setting, calming lake and everything you could possibly need; in one spot! Spacious accommodations create an at-home feeling and leave you feeling comfortable and relaxed. Full kitchens and kitchenettes, microwaves, refrigerators, fireplaces and modern decorations are just a few of the many amenities. Spend your days fishing, boating or swimming in the warm water. 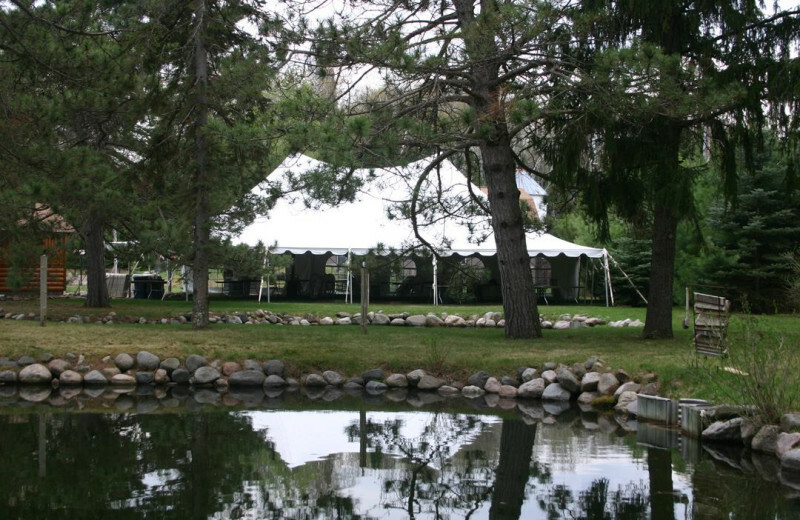 Or, if you prefer to stay on dry land, try out some sand volleyball, horseshoes or spa. There is even an onsite store, fish cleaning station, and fire pits to round out this Up North vacation. Come discover why families love returning to White Birch Village Resort again and again! 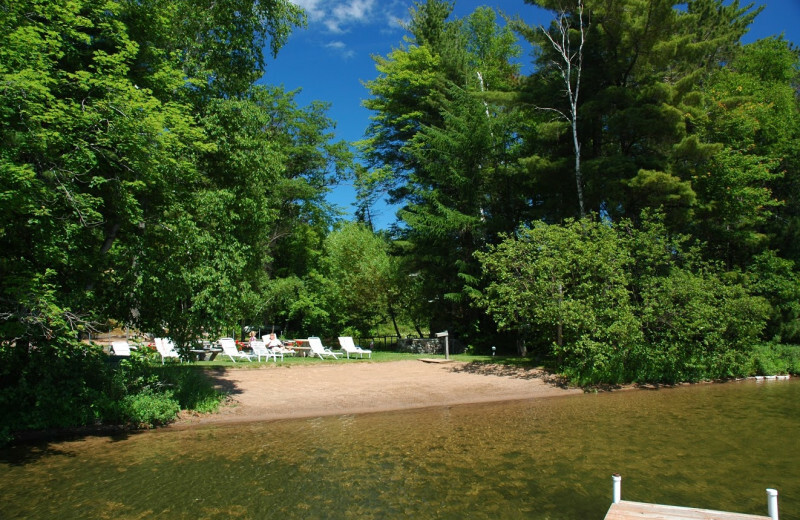 Spend your days soaking up the sun on the sandy shores of White Birch Lake during your stay at White Birch Village Resort. 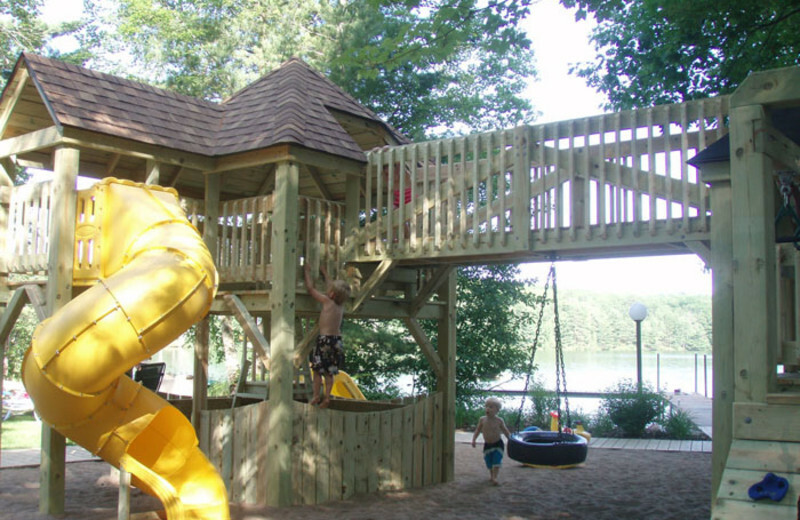 Kids will enjoy the close proximity between the beach area and the outdoor playground, and parents will enjoy being easily able to keep an eye on both places at once. Start planning your sand-filled Wisconsin getaway today! 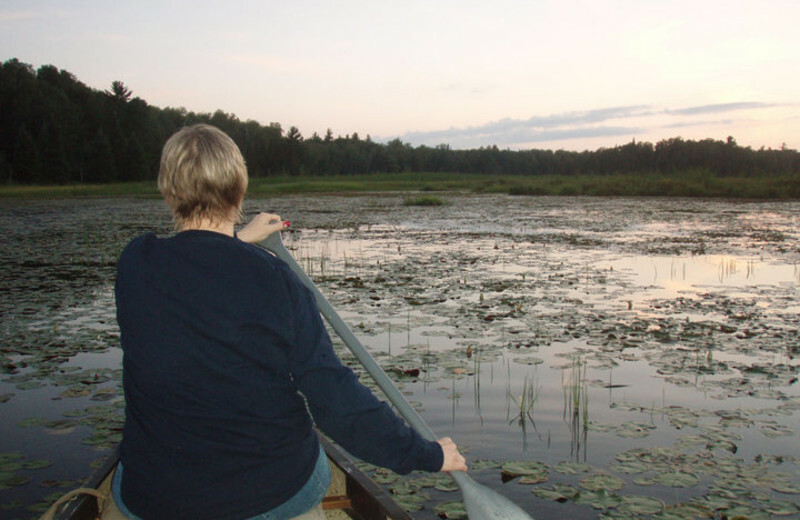 Northern Wisconsin is perfect for family getaways during almost any season! 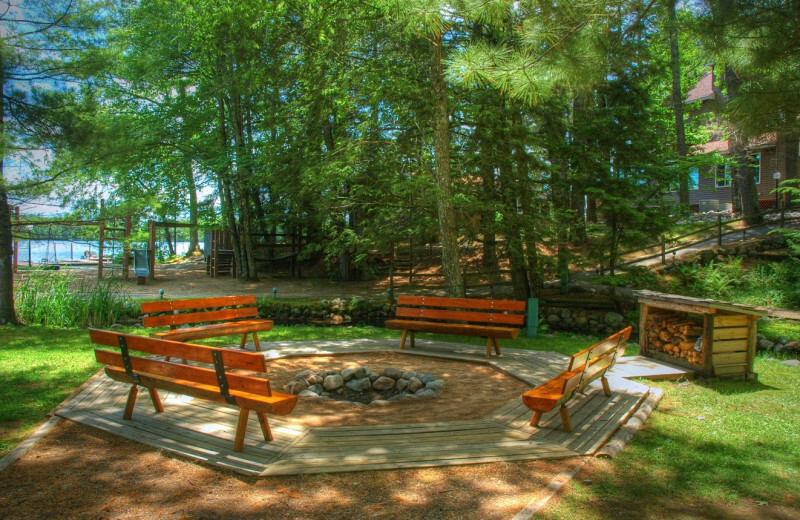 At White Birch Village Resort you'll experience so many entertainment options from fishing and boating to horseshoes and sand volleyball. Of course, there is a game room, a hot tub, and fitness center as well to keep all ages happy! 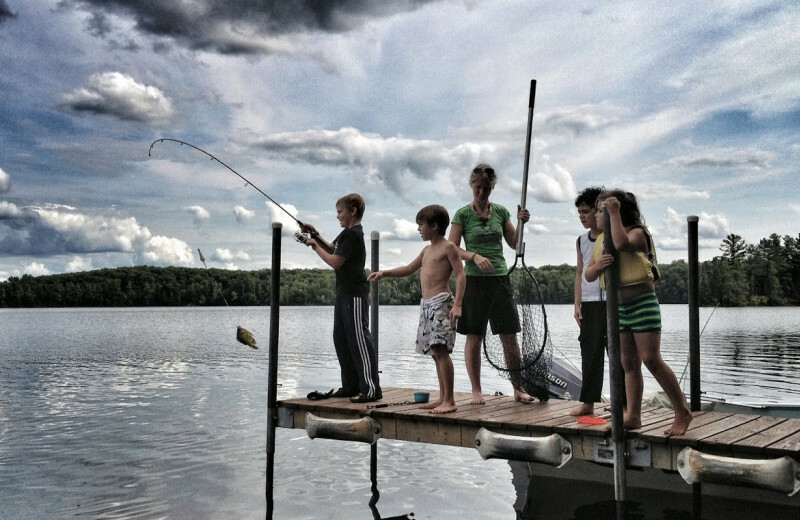 There is never a bad time to grab the entire family and meet up "up north." 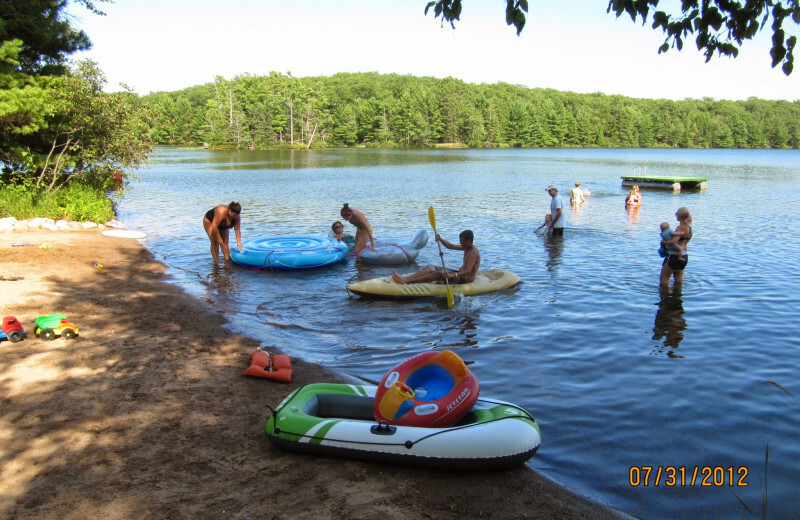 White Birch Village Resort has large and spacious accommodations for groups of almost any size along with plenty of amazing activities including shuffleboard, kayaks for guest use, and sand volleyball! Reunite and start creating new memories and laughs. 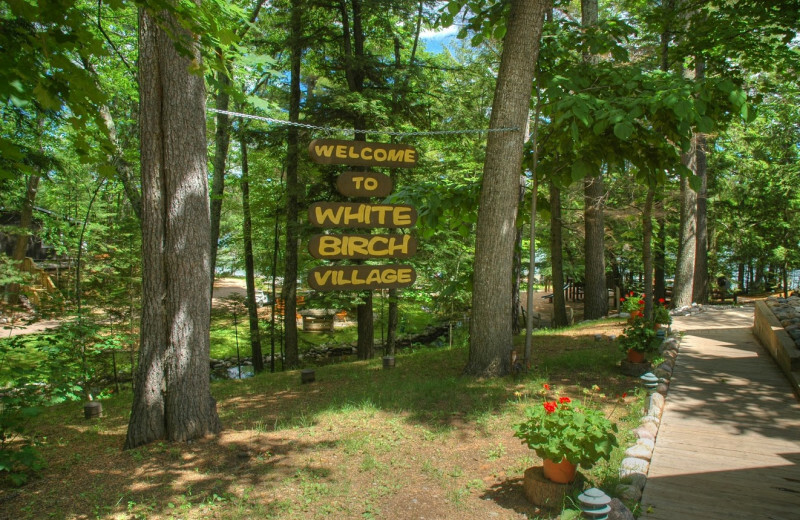 Get away from the hustle and bustle of the city and find calm at White Birch Village Resort! Here, you'll find an abundance of outdoor activities to keep you having fun with Mother Nature as your backdrop. 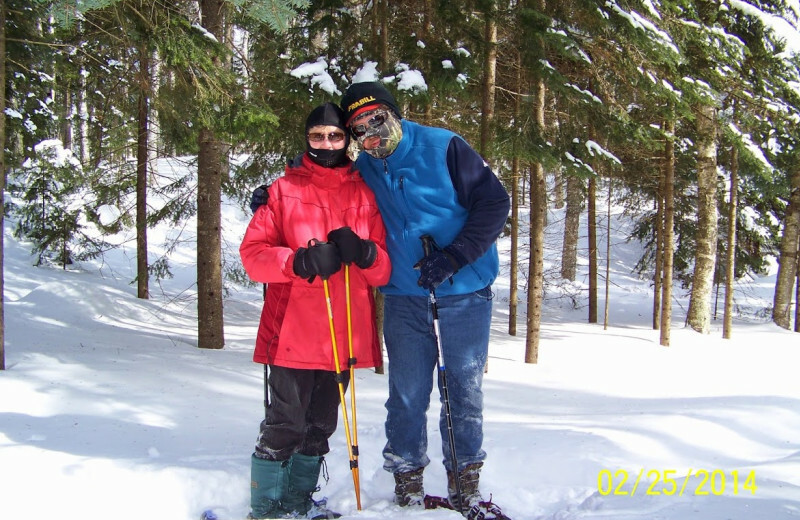 Nearby you'll find White Birch, Ballard, and Irving Lakes, plus areas for snowshoeing, and more! 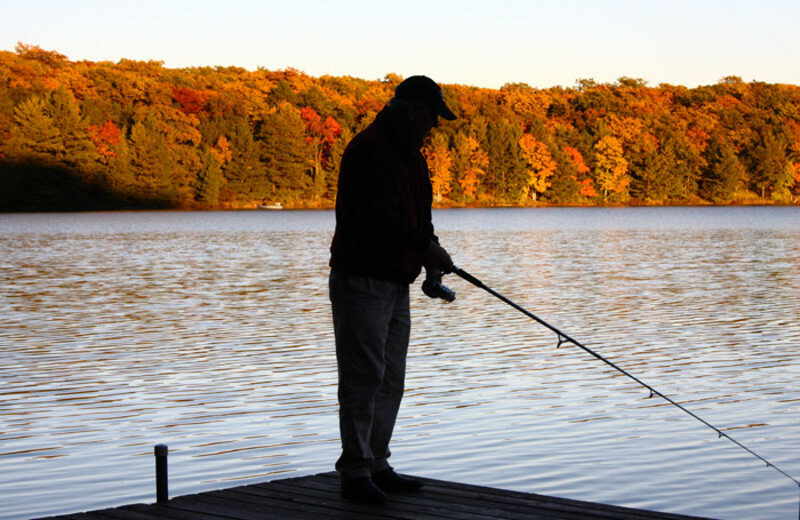 As the "Musky Capital of the World," you're sure to enjoy an abundance of wonderful fishing when you stay at White Birch Village Resort. With three lakes just nearby, you'll be able to have an unforgettable fishing excursion. Musky, walleye pike, large and smallmouth bass, and panfish are all ready for you to cast your line. The Teal Vacation Home at White Birch Village Resort provides the perfect venue for your romantic rendezvous in Wisconsin. Tucked away, the Teal features the serenity of nature and overlooks the creek providing an intimate hideaway for you and your partner. A beautiful stone fireplace is the perfect place for cuddling on a chilly evening! Wisconsin is the perfect destination for your next hunting retreat. 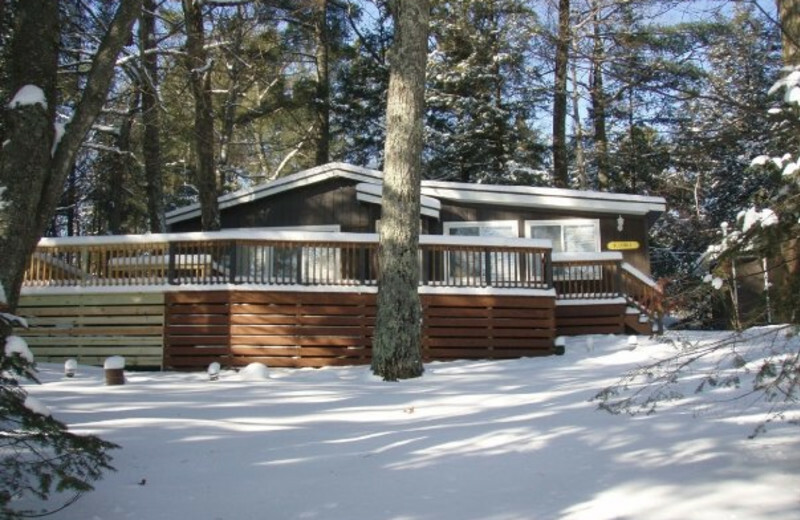 When you come to White Birch Village Resort, you'll be in the heart of hunter nation. 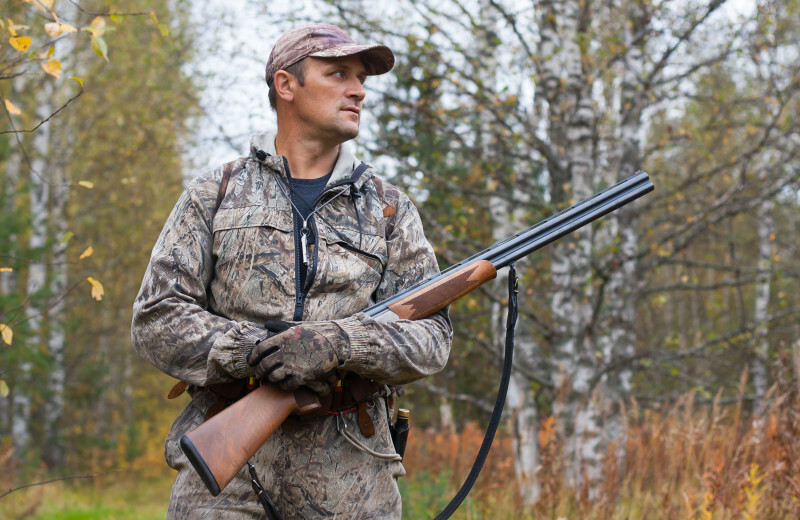 Ask the friendly staff to help you with the necessary documentation necessary before you get started on your hunting vacation. Book your vacation today and get ready to enjoy the upcoming season! Don't leave your favorite pet behind! 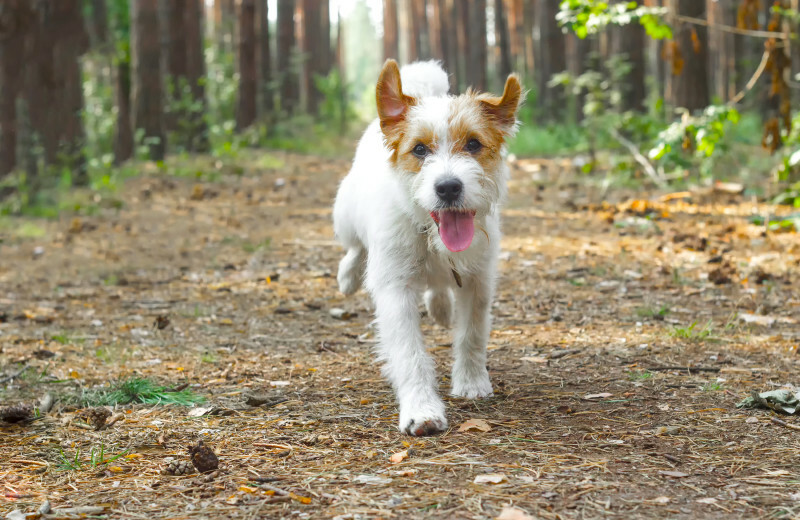 White Birch Village Resort offers pet-friendly accommodations for those who prefer to travel with their four-legged companion. It's the perfect way to enjoy a vacation with the whole family, even the furriest members of your group! Contact the resort for restrictions and details. 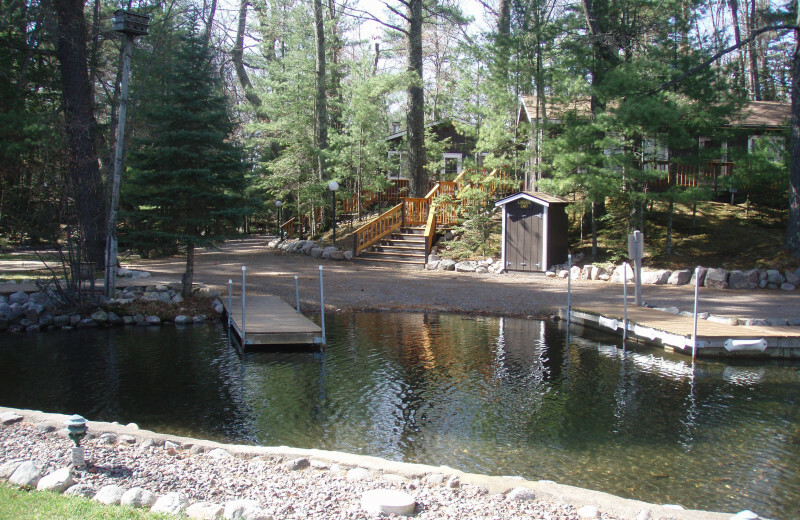 White Birch Village Resort is located on a chain of three lakes: White Birch, Ballard, and Irving! 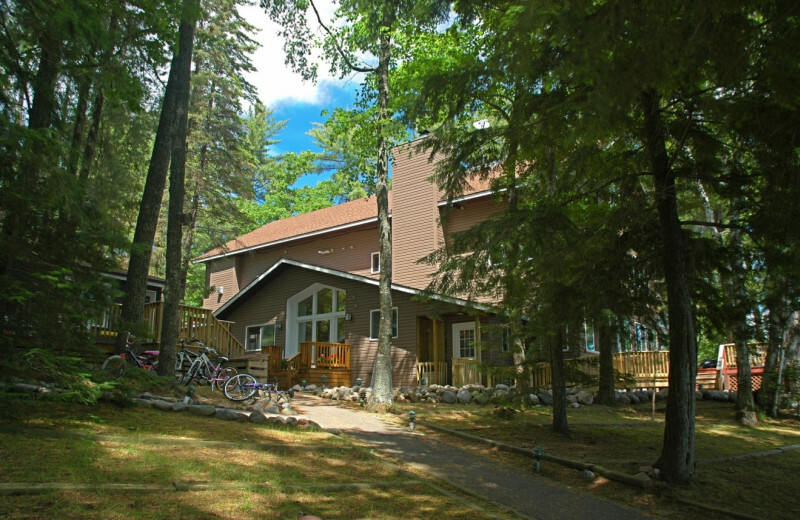 This makes White Birch Village Resort the ideal destination for your Wisconsin getaway. Spend quality time with your loved ones as you explore the quiet waves on a boat ride. Or, head out for an unforgettable fishing adventure! Let the tranquil waters serve as your peaceful playground during your vacation! Imagine waking up with your new spouse and walking the edges of White Birch Lake. 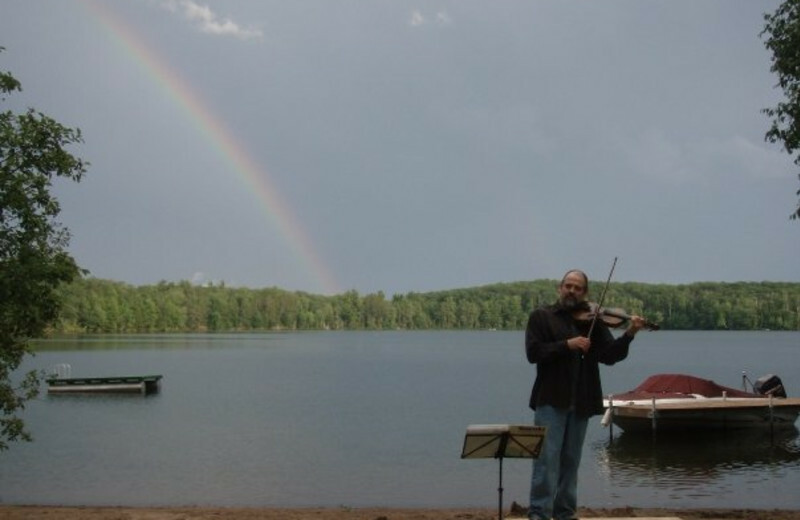 Turn that dream into a reality and book your Wisconsin honeymoon at White Birch Resort! Stay in The Lead and experience views of the creek and a cozy fireplace to cuddle up in front of. You can spend days together out on the lake and nights cuddled up talking about your future. 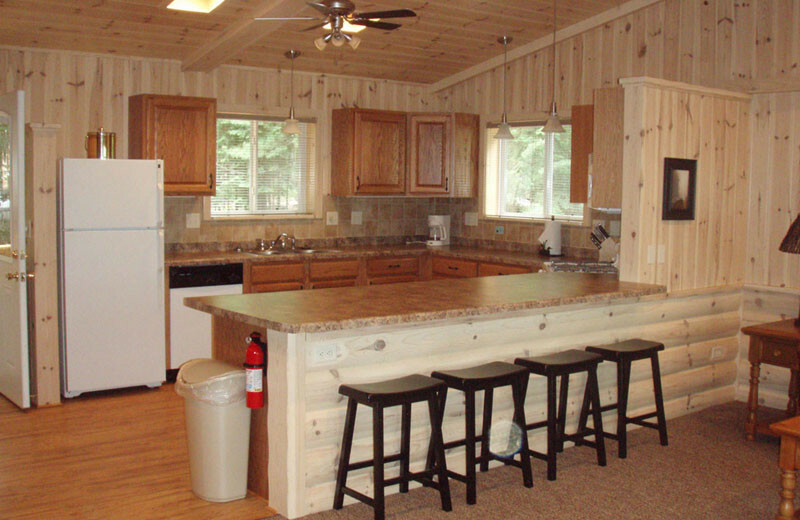 Each of the vacation homes at White Birch Village Resort features a fully equipped kitchen, a fireplace, and an outdoor Weber BBQ grill. Central heat will keep you comfortable during the coldest of Wisconsin evenings, and you'll definitely enjoy your carpeted living room and bedroom. Make sure to find the specific unit that fits all of your needs! Need more space? There are three two-story vacation homes that can accommodate between 12 and 16 people! 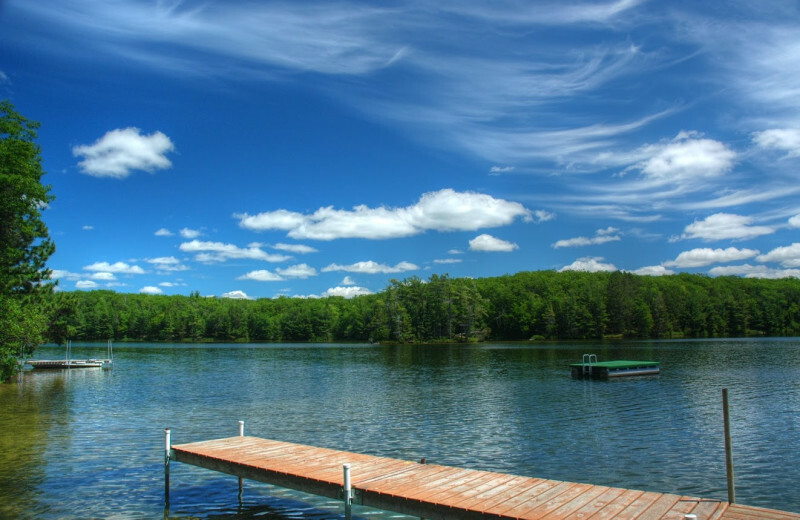 Wisconsin is the perfect place for a summer holiday! 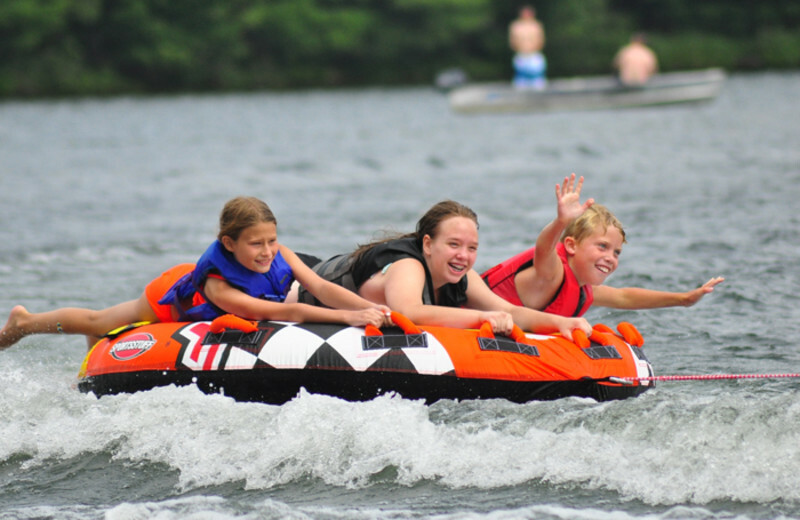 Enjoy the Fourth of July or Memorial Day on White Birch Lake at the White Birch Village Resort! Spend your summer vacation fishing on a boat or exploring the nearby trails. At night, BBQ with your family in your cabin! Prepare to experience the summer of your life when you book your vacation here. 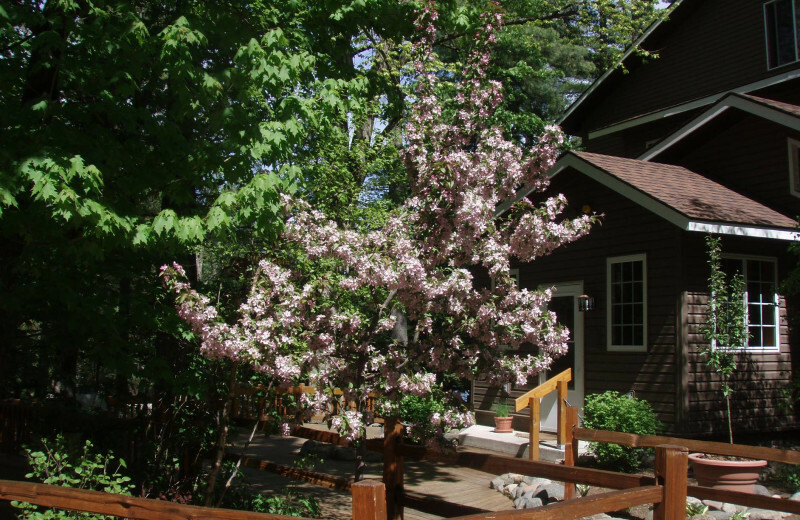 This property is ranked number 1 on Top Wisconsin Fall Getaways. Read about it here. This property was featured in a recent travel article. Read about it here.